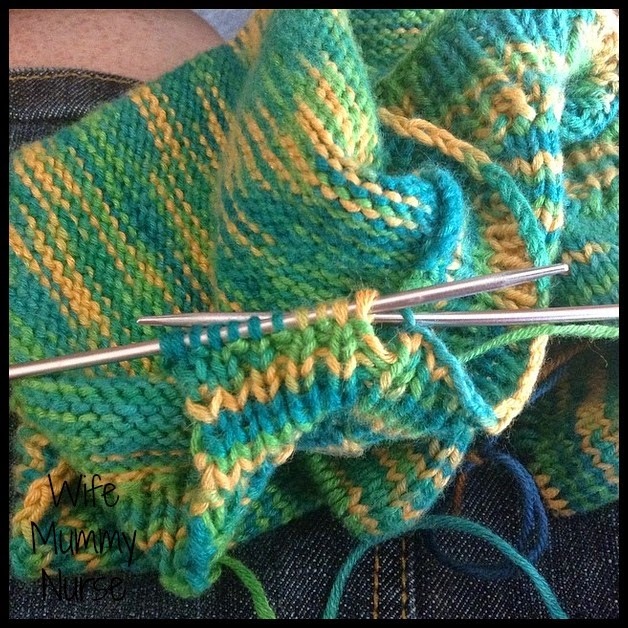 Late August 2013, I started knitting a baby vertebrae for my niece, but I never finished it because I was exhausted during my first trimester, knitting took a back burner, and had already knit my sister's baby two items, so I did not feel the need to finish it. 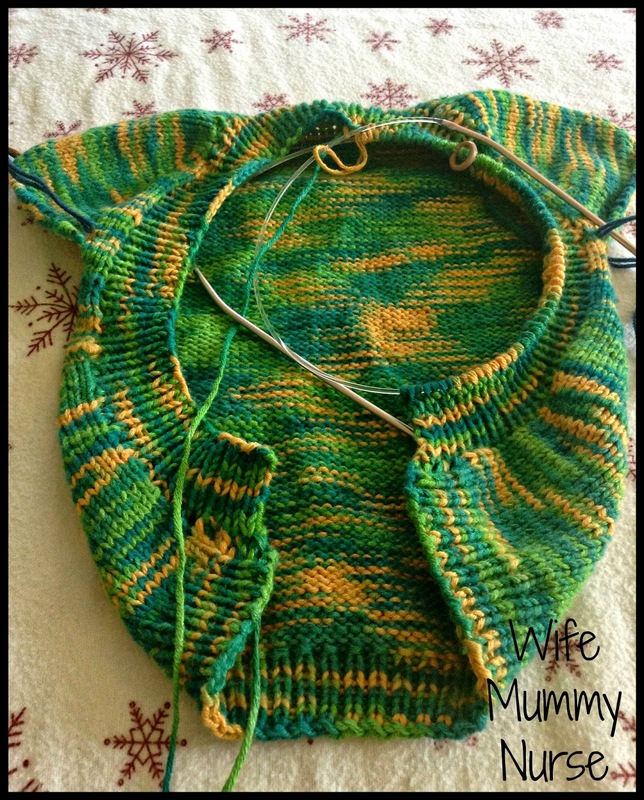 A week ago, I picked up the baby vertebrae again to knit for my unborn son. The yarn I'm knitting with is Bamboo Pop, it's so soft, and I think it would be perfect for this time of year. Though one frustration, though slight, is it's very splitty. I decided I'm only going to knit short sleeves since it's May in MD, and it can already be hot and humid at times. Yesterday's #GGKCraftyPad Photo prompt was Dozen. Here, I had 12 stitches left to cast off.